The Occupational Safety & Health Administration is moving to reduce the risk of construction accidents in Boston and roofing accidents in Massachusetts. 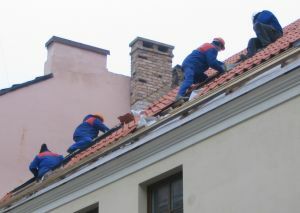 According to the Bureau of Labor Statistics an average of 40 workers are killed each year in falls from residential roofs. Latino workers account for one-third of such deaths. Typically, Latino workers also lack sufficient access and understanding of basic work-safety rights and protections. Latino workers comprise one-third of those employed in the construction industry. The new directive requires strict compliance with residential construction fall protection standards. Previously, a temporary rule had been in place since 1995 that allowed for some alternate methods. Such alternative methods are now only permitted if traditional fall protection is not feasible due to the residential environment imposed by the job site. Construction and roofing companies have six months to comply with the new standards. OSHA is also hosting a webinar. More information on residential fall protection in Massachusetts is available here. If you have been injured in a Boston construction accident, contact Massachusetts Workers’ Compensation Attorney Jeffrey S. Glassman for a free and confidential appointment to discuss your rights. Call 877-617-5333.